Wife is out of the house. Not my problem! That’s right, it’s that special time of year when you look in the fridge and realize that you are going to make something out of what you have. 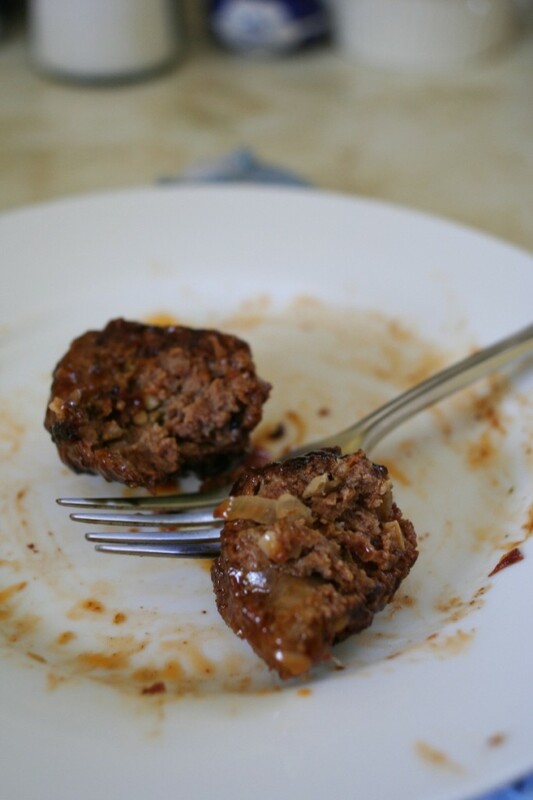 Turns out we had le tub of ground beef patties to supply sliders for our tailgate. What else did we have? 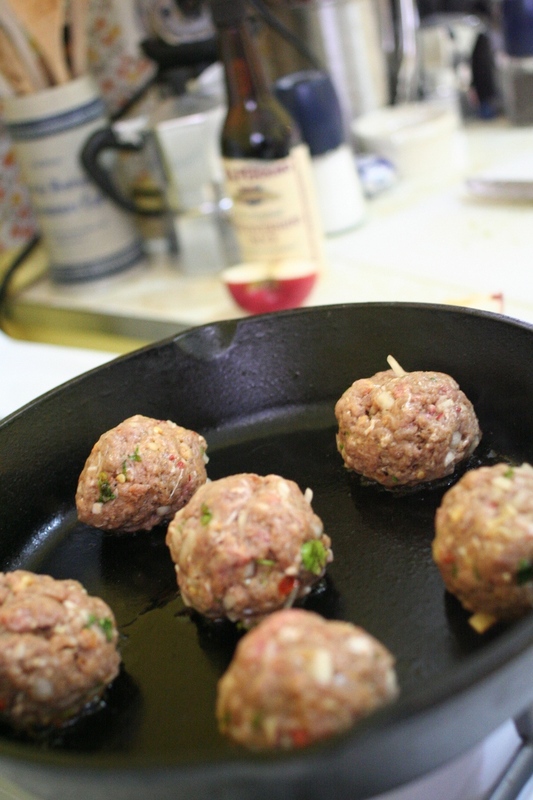 Throw in a hot pan and toss under the broiler to brown the exterior of the balls. Why everyone doesn’t eat everything cooked Pittsburgh rare is an enigma to me. Chillax the oven down to 350♥F (I don’t know how to make the ° symbol, but I do know how to make the ♥, so that is what I’m using). 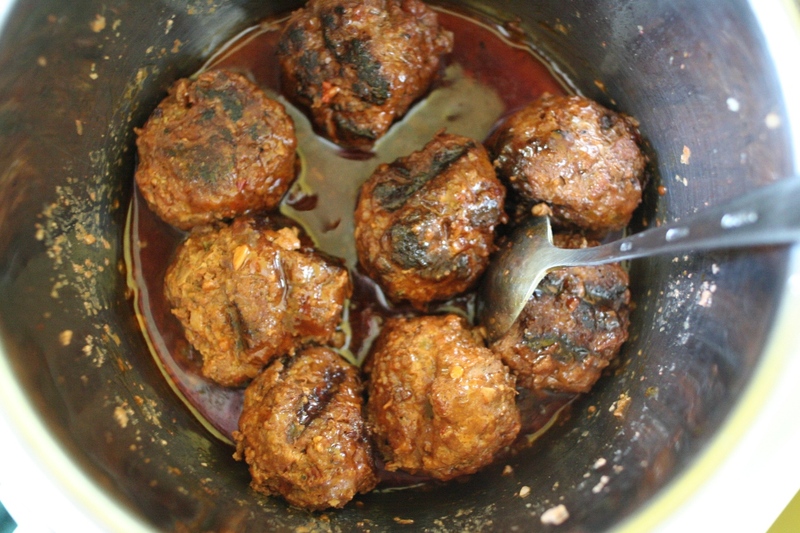 Cook the balls for 15 minutes. Place the balls in a pot. 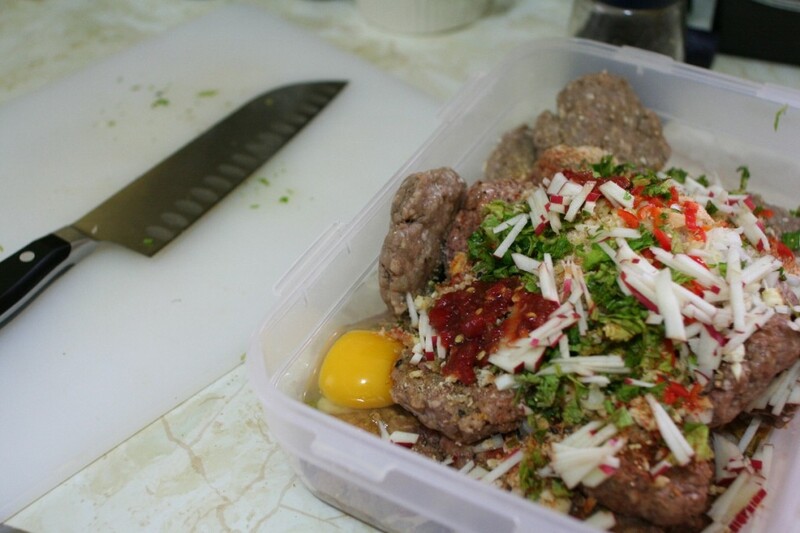 Add some BBQ sauce and beer (I don’t like my meat sweet, so a pot full of BBQ sauce is out of the question). Simmer for an hour or two, eat. i’m impressed. but that’s not saying much.